Pioneers in the industry, we offer pick glass, button snap pull tester, lab vacuum pump, gsm cutter, washing fastness tester and digital weighing balance from India. We are instrumental in offering our patrons a premium quality range of Pick Glass. This glass is developed and fabricated under the supervision of expert professionals at per with the set quality standards. Recognized for optimum performance, compact design, sturdy construction, accuracy, reliability and longer life, this glass is highly accepted in the textile industry for counting and determining of Reed & pick fabrics. Pick Glass is offered in diverse specifications and can also be made to order as per the needs of patrons. 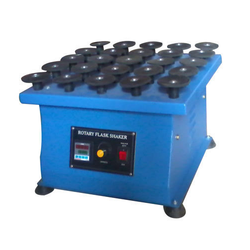 We are a remarkable entity, engaged in offering a superior assortment of Button Snap Pull Tester that is extensively used in textile industry for determining the holding strength between the button and the fabric. 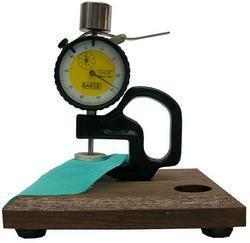 This fabric testing instrument is manufactured using quality approved components as per the latest market trends. This range of Button Snap Pull Tester has been appreciated for some salient features like high performance, easy operation, accuracy and longer service life. 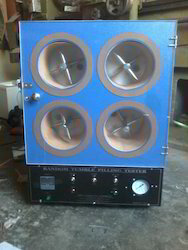 To meet fulfill the wide needs of clients spanning market, this tester is offered in different specifications. 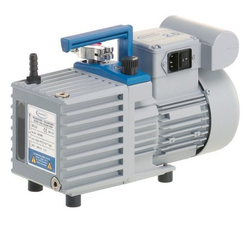 We are a highly renowned manufacturer, trader, and supplier of a wide range of Lab Vacuum Pump. This pump is fabricated at per with the set standards using premium grade components and modern techniques. Applicable in microbiological laboratories, the offered range of Lab Vacuum Pump is highly appreciated for its sturdy construction, high performance, reliability and longer functional life. To meet the varied needs of the clients, this pump is offered in various specifications according to the needs of the clients. We are recognized as one of the prominent manufacturers, traders, and suppliers of a wide gamut of GSM Cutter. 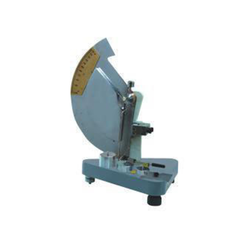 This cutter is available in different sizes and related specifications to meet the varied needs of the clients. 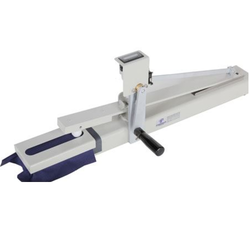 Applicable for determining the GSM (Grams per square meter) & cutting of fabrics, the offered GSM Cutter is manufactured under the supervision of our experienced professionals as per the defined industry standards. This cutter is appreciated by our clients for its easy usage, reliable performance, sturdy construction, accuracy, light weight and longer service life. Clients can avail this cutter at reasonable prices. Diamond shape cutting on the bottom for proper grip to the fabric. We are remarkable entity engaged in offering a superior assortment of Washing Fastness Tester. It is used for testing the colorfastness of a fabric after a wash thereby, it stringently tested on various parameters. 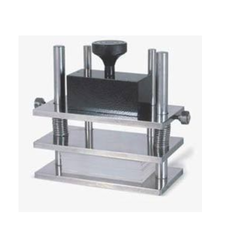 The offered tester is designed and manufactured from superior quality components in compliance with set quality standards. 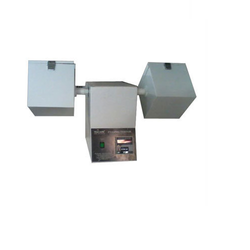 We offer this Washing Fastness Tester in different specifications and can also be customized as per their requirements. 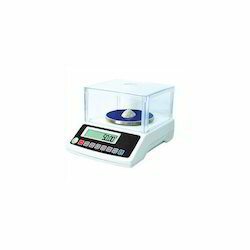 Owing to our expertise in this domain, we are betrothed in offering an extensive range of Digital Weighing Balance which is used for determining the accurate mass of the product in laboratories. This fabric testing instrument is manufactured from high-grade components under the guidance of experienced technocrats to meet the predefined industry norms. The entire gamut of Digital Weighing Balance is extensively appreciated across the market for compact design, easy usage, efficiency, accurate measurement, digital display and longer service life. 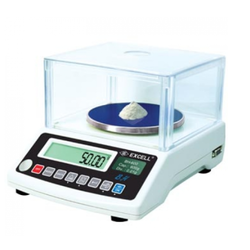 Offered weighing balance is quality tested on various parameters to ensure consistent performance at users ends. Leveraging on our immense industry knowledge, we are providing Thickness Gauge extensively used for the dimension of the thickness of fabrics in the textile industry. This gauge is designed under the supervision of expert professionals in line with the set quality standards using utmost class components with the help of advanced technology. This Thickness Gauge is presented in diverse specifications and can also be custom-made on detailed demands of the patrons within predetermined time frame. The entire range is acknowledged for easy usage, optimum performance, excellent finish, longer service life, rust resistance and compact design. We are actively engaged in offering an excellent quality range of Reed Pick Glass which is presented in diverse specifications and can also be custom-made to meet the needs of the patrons. 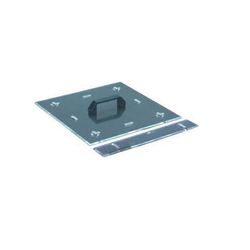 This pick glass is developed by our trained professionals using premium grade components and advanced technology under the management of an expert team of professionals. Commonly used to count the number of threads per unit length of a fabric, the offered Normal Pick Glass is acknowledged for utmost performance, robust construction, and durability. We have marked a distinct position in the market by providing Wrinkle Recovery Tester. The offered tester is manufactured utilizing high-grade components in compliance with the pre-defined quality norms under the guidance of skilled professionals. In order to ensure quality, this tester is stringently tested on various parameters. Used in the textile industry for testing the appearance of fabrics after induced wrinkling, this Wrinkle Recovery Tester is known for high performance, compact design, less maintenance, easy operation, accurate measurement and longer service life. 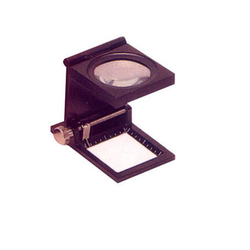 Comprises a rotary circular scale on which a spring type specimen clamp is fixed, this tester can also be customized as per the requirements of clients at economical prices. 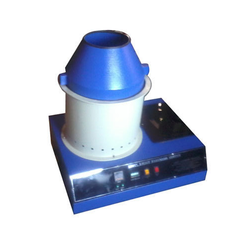 Backed by a team of experienced professionals, we are instrumental in providing Rotary Flask Shaker which is fabricated using quality tested components. 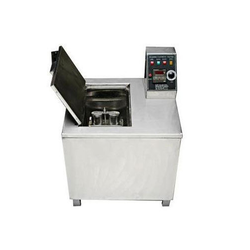 Used for shaking liquid in glass flasks to process chemicals, solvents and other basic chemicals, this instrument is appreciated for robust construction, high performance, easy operation, smooth functionality, and reliability. The offered range of Rotary Flask Shaker is available in various specifications and can also be customized as per the application requirements of the clients. In order to ensure quality, this shaker is stringently tested on various parameters. 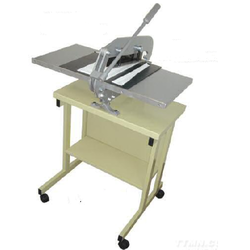 We are a noteworthy manufacturer, trader, and supplier of Manual Swatch Cutter which is widely used in the textile industry for cutting out samples. This cutter is manufactured at our high-end unit using supreme class components in line with set industry standards. The offered manual is highly appreciated for features like efficiency, high performance, smooth functioning, sturdy construction, compact design and longer functional life. 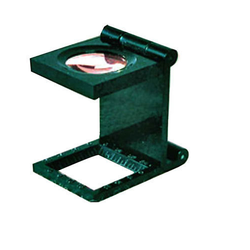 This Swatch Cutter Manual is widely demanded by our clients, therefore, offered manual is stringently tested on various parameters in order to ensure its flawlessness. We are engaged in offering our clients optimum quality Twist Tester which ensures twist in a yarn for increasing its strength and quality. This tester is available with us in different technical specifications and can also be customized as per the requirements of the clients. This tester is designed under the guidance of skilled professionals using excellent quality components at per with set industry standards. 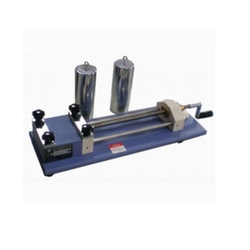 Acknowledged for features like high performance, sturdy construction, compact design, reliability and longer functional life, this Twist Tester is stringently tested on various parameters in order to ensure its flawlessness. We are a noteworthy manufacturer, trader, and supplier of ICI Pilling Tester that is broadly used in textile industry for testing pilling or snagging on fabrics. This fabric testing instrument is fabricated at our fully-fledged manufacturing unit using supreme grade components under the guidance of skilled professionals to ensure optimum quality. The offered range of ICI Pilling Tester is appreciated for compact design, high performance, easy installation, less maintenance and longer service life. 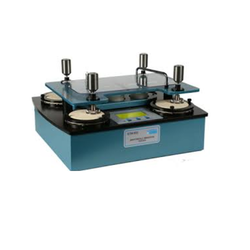 This tester is stringently tested on various parameters to meet the set quality standards. Owing to our vast domain expertise, we are considered as a leading manufacturer, trader, and supplier of superior quality Crock Meter Manual. Offered Crock Meter is designed for testing the discoloration extent of dry textile & leather after abrasion. In order to ensure its flawlessness, we make use of superior quality components for its manufacturing process. Appreciated for features like reliability, superior efficiency, robust construction and compact design, this meter is widely demanded in the market. We offer this Crock meter Manual in various specifications as per the needs of clients. Backed with the team of experienced professionals, we are engaged in providing supreme quality Fabric Testing Instrument. It is used for determining the resistance of the color of textiles to the action of human perspiration by exposing it to the action of both alkaline and acidic reagents, while in contact with undyed adjacent fabrics on both sides. In order to manufacture this meter, we use high quality components and latest technology to meet set industry standards. This Fabric Testing Equipment is stringently tested on various parameters in order to ensure its flawlessness. 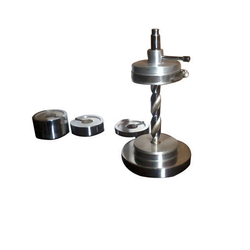 We have become the most prominent manufacturer, trader, and supplier of high-grade Tearing Strength Tester. This tester is manufactured at our high-end manufacturing unit using supreme class components in line with the predefined standards to ensure optimum performance at the user end. Used to determine the tearing strength of fabrics, plastic films, and other similar materials, the offered range is available in different technical specifications and can also be customized as per the needs of the clients. 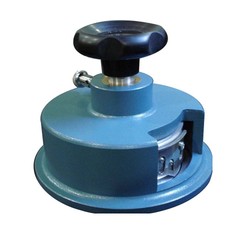 Coupled with anti-friction anti-friction ball bearings, this Tearing Strength Tester is appreciated for efficiency, less maintenance, high performance, sturdy construction, corrosion resistance and longer functional life. We are a highly renowned manufacturer, trader, and supplier of a wide range of MBTL Light Fastness Tester. It is used for evaluating colorfastness of a fabric to light using 500 W mercury ballast tungsten filament lamp. Offered tester is manufactured using optimum quality components and latest technology in compliance with set industry standards. This tester is highly acknowledged for features like robust construction, high performance, reliability and smooth operation. The offered MBTL Light Fastness Tester is also tested on different quality parameters. Our organization has gained recognition as an affluent manufacturer, trader, and supplier of Shrinkage Template that is widely used in textile industry for the measurement of accurate shrinkage in fabrics. In the manufacturing process of this template, we utilize the finest grade raw materials and advance technology in compliance with the set quality standards. Excellent finish, sturdy construction, accuracy, easy usage and cost-effectiveness, these are few features of the offered Shrinkage Template. We assure our clients that this template is quality tested on predefined parameters to meet the set quality standards. GSM Balance options offered comes in smooth tested construction designs and provide for high weighing accuracy. 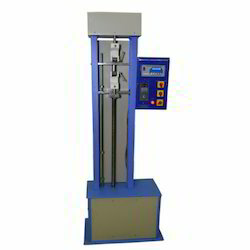 Martindale Abrasion Tester is designed to subject specimens under test to a controlled amount of rubbing at comparatively lows pressures and in continuously changing directions to ensure that all surface fibers on the specimens are flexed in order to compare the resistance of fabrics to abrasion. Looking for Fabric Testing Instrument ?